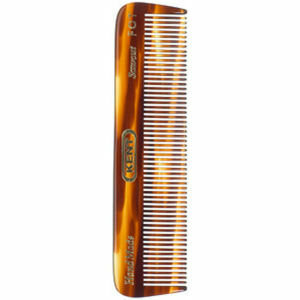 The Kent Tortoiseshell Effect Fine/Coarse Pocket Comb is handmade, saw cut, and hand polished to create soft rounded teeth that will not damage your hair or scalp. Work your style without compromising strong, healthy, shiny hair. 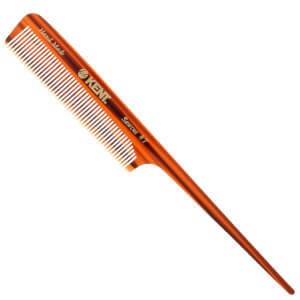 Made from cellulose acetate, a non-petroleum based plastic derived from plants that has been found to create less static in hair, the Kent Tortoiseshell Effect Fine/Coarse Pocket Comb stimulates the natural oils inside the hair cuticles as your hair is combed. So not only does Kent help you achieve your style with ease, but it prevents damage and actually improves the condition of your hair and scalp. 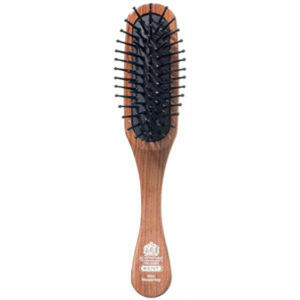 Receive a FREE Kent Mini Woodyhog Brush when you spend £15 on Kent. Complimentary gift will be awarded at the basket. Offer valid for a limited time only, while stocks last. My last Kent R7t lasted for TWENTY years and was used every day. Does not damage the hair. Easily gets through wet hair without pain or tangling. 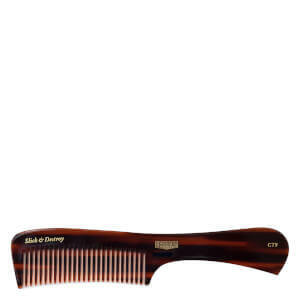 This comb really is exceptional and its handy size and dual Fine/Coarse pitch make it the perfect discreet solution. Get one! 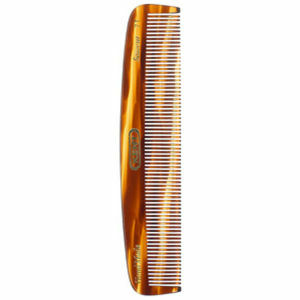 This Kent Tortoiseshell Effect Fine/Coarse Pocket Comb is beautiful and does the trick. Es un peine estupendo y muy manejable. Yo pensaba que sería algo más largo pero es un maravilloso y fino peine. Y como siempre, la empresa look fantastic ha sido rápida y super eficaz. Un saludo.